Being overly concerned about the myths of working in law enforcement can cause many people to give up their dream of serving the nation by putting on a uniform. People who are emotionally attached to their family may also view a police career as being destructive, discouraging them from joining the service. Moreover, these myths can also trigger a few complications among existing professionals who begin viewing themselves as victims of the profession rather than as tough individuals who are capable of overseeing the outcomes of their own actions. The truth is that law enforcement is a gracious and challenging career with several rewards that prevail over the negatives for most officers. Undeniably, police work is dangerous. However, it is interesting to note that it does not even rank in the top 13 most dangerous occupations. Evidence from the US Bureau of Labor Statistics reveals loggers and farmers have the highest risk of being killed while working. Chauffeurs and taxi drivers are at the greatest risk at being killed due to homicide, almost four times more than cops. Cops rank 14thon the list of most dangerous occupations. However, this is also because officers are specifically trained to protect themselves in threatening situations. We are all aware that police officers are required to handle perilous situations. Even though police work requires the use of violence, guns and force, it is actually much safer to work as a law enforcement office than it was several decades ago. Several researches have been conducted to probe into the subject. In reality, there are no facts suggesting there is an unusually high level of alcoholism among police officers. Another police psychologist who evaluated data from the U.S. Department of Health and Human Services, in an attempt to compare alcoholism rates by occupation, reached the same conclusion. The researcher noted that eight other occupations had a notably higher rate than law enforcement officials. Hollywood movies and TV depict angry cops who use aggression to threaten criminals for getting what they want. In reality, police officers rely more on their communication skills to control a situation that might otherwise become brutal. Students undergoing police training are required to take law enforcement courses that revolve around communication skills as well as sensitivity training. People spread all kinds of alarming allegations about law enforcement personnel involved in shootings. It’s claimed that thousands of officers in shootings endure serious trauma and eventually end up giving up their career. However, multiple studies have discovered that even though short-term emotional reactions are universal, a vast majority of officers manage the after effects of shootings quite well. Police officers have reported only transitory and mild symptoms, and only a small percentage is likely to suffer long-term psychological problems. Quitting the job due to shooting incidents is also rare. Police officers are likely to be promoted post a successful shooting, helping significantly overcome fears and overwhelming emotions in the aftermath of the incident. However, if some officers experience unpleasant emotional issues that appear chronic, they are encouraged to seek professional assistance, without being stigmatized. The chances of a police investigator solving a crime are the highest within the first two to three days of an incident. Officers quickly accumulate as much facts as possible to work out the places, people and activities that could have been a part of the crime. In movies, this looks like a law enforcement officer talking over the phone and making their way into a national database that reveals the contact details of the suspect. Although it can be quite intriguing to collect crucial data, TV shows like CSI make it seem like an easy and fun process. In reality, there is a lot more involved to navigate a patchwork system of information and data that is unapproachable across state lines. This is one of the most popular myths about working in law enforcement, which obviously is nothing but a myth. Data reveals that detectives, police officers, and their supervisors have a lower divorce rate as compared to the average for other occupations. Numerous social scientists conclude there is no data to reveal that a career in law enforcement harms the chances of a happy and successful marriage in any way. Naturally, putting on a uniform makes you responsible for responding to calls of danger. However, that does not mean you automatically get a license to go on a killing spree. In reality, law enforcement officials are accountable for every action they take, especially if it involves the use of violence and guns. Having a dangerous job doesn’t absolve anyone of liability. It is a myth to say that the average law enforcement officer is expected to commit suicide because of his or her job. However, it is true to some extent that police officers have a higher suicide rate as compared to the general population. But that's an invalid comparison given the fact that, males, in general are more likely to attempt suicides than females. Since there are more males than females in the field, this plays an important part in the suicidal rate of the profession. When you compare officials to their counterparts in other professions, a completely different picture emerges. Studies and facts clearly show police suicide rate is lower than the norm. To help debunk the myth, researchers must be cautious to always conduct demographic matching prior to concluding the results. The never-ending portrayal of burned-out and cynical police officers who are shown hating their job gives off a negative message to the masses. Again, research data and facts reveal a more positive picture. Studies have actually reported more than 50% of police officials are ‘satisfied’ and ‘happy’ with their job. There is no concrete evidence to support the notion that police work is responsible for more burnout than other occupations. Past researches that were aimed at establishing a connection showed that most police officers generally feel less fatigued and are more proud of what they achieve as compared to other professionals. As absurd as it sounds, pension records in California and Arizona alone are enough to debunk this final 10th myth. Male law enforcement officials typically retire at 55 and live an average of 24 more years, whereas females have an even better record of an average of 29 years after retirement. There is no concrete study to prove that people who have worked in law enforcement will pass away shortly after retiring. 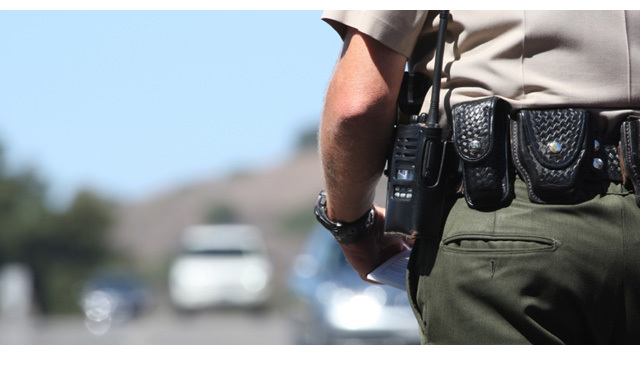 So there you have it, the top 10 myths about law enforcement careers debunked.